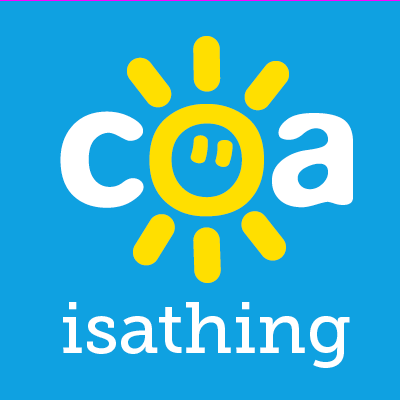 Time Is Not Always A Healer – Being a COA is a thing! We all love a person that comes through the fire don’t we? Don’t we love to hear a story of someone that made it through, bigger, better, stronger despite all of life’s adversities?! Our language even reflects this when we talk of illness. We talk of people ‘beating‘ cancer, while others ‘lose their battle‘ with it… I’m not denying how tough it must be to come through such an illness, I’ve seen family members do it, but this idea that not recovering, constitutes to ‘losing’ seems a strange stance to take. And so it is with mental illness, we encourage people to ‘forget’ their problems, to make ‘the choice’ to leave our troubles in the past and emerge heroically as ones who ‘defeated‘ their woes. I wanted to be one of those people, to be strong and defiant. From the times I stood next to my drunken father as a child, I dreamed of being that 1 who could stand up to life, a winner. I wanted to be that boy, and eventually that man, who people looked in awe at as I continued to show up to life no matter what it threw up, it was my one and only dream. So that’s what I set out to be. A warrior. A fighter. But my dad’s alcoholism had already laid down its foundations within my family and the trauma that I had faced as a child ultimately shaped my path. I simply couldn’t be that person I wanted to be and face the traumas of which I was dealt. So I had to take the only route that seemed plausible. The route that, ultimately, society suggested as the heroic one. I buried my pain, I avoided feeling it at all costs and embarked on a journey as one of life’s tough guys. Alcohol was my first weapon of choice and it worked. It worked well. Actually along with cannabis and eventually most other drugs, I found the right amount of escape from my mind to be able avoid my pain, at least to enough of a degree that I could play the ‘brave’ guy. However, I quickly lost control of the way I used these substances and in truth, they worked less and less. By my early 20’s I was no longer able to use alcohol as my escape as not only did it not work, but I had lost control of the way I consumed it. Fortunately for me, at least up until now, I have been able to completely abstain from using any mind altering substances as my form of escape, but with this has come a whole new journey, as my quest to be the ‘heroic and brave winner’ in life. … Now some might be reading this and thinking that was the best way to be. People would congratulate my humility, my forgiveness, and my ability to move forward. In many people’s eyes I was that man I had always aspired to be. That warrior. …. but this didn’t tell the full story. Somewhere within the depths of me there was still a pain, a pain that no matter how many lines I spouted about my ability to move on and see the positives in life, just wouldn’t go away. I was like the band the kept playing and the dancers that kept dancing in spite of the titanic sinking around them. But no matter how hard I danced, the water kept rising… and I kept sinking. It may seem that I’m discrediting a positive attitude as a way of recovery and I’m not. Positivity has had to be at the centre of my recovery as the child of an alcoholic, but what I’m learning is that it can’t come at the expense of processing my pain. For me at least, I’m finding that simply throwing positivity over my pain doesn’t work. My pain that comes out of childhood trauma is like the weed and my positivity like the soil. If the soil is simply laid over the weed, the weed will always eventually burst through and multiply, no matter how much soil there is. Though I had created a beautiful garden of positivity in my mind, it was again overrun with weeds. I had to get to the root of the problem. It began to become apparent that in my avoidance of pain I had given up my right to feel anything. I looked back over my life and could see my emotionlessness. Whether I was at a funeral or a wedding, I only ever played at the emotions I should have felt, behind it I was cold and emotionless. I realised that most of this comes from my denial and suppression of pain and I could see it was a technique I was using in most areas of my life. Even the times when I had got open and honest about some of the difficult times of my childhood I removed myself enough so that when I recited the story it was like it was happening to someone else… still me, but the child me, and I had separated myself from that boy. In many ways, mental trauma is like any physical trauma. Sometimes, if you hurt yourself physically, time can be a healer. You stay brave through the initial pain until it eventually goes away. But other times you cant just leave it, and no matter how brave we are, or strong, or how much tell ourselves it doesn’t hurt, the pain just gets worse and worse until eventually we have to do something about it. We may have to do something small like take some medication, or if it is really bad it could need surgery, and in some cases full recovery is totally unachievable. Mental trauma is no different and so I guess recovery from it isn’t either. I had to begin to process my pain properly and in many ways accept that I am a flawed and damaged individual and that that doesn’t have to hold me back in life. I can absolutely find positives in my adverse childhood experiences but I also now recognise that finding the positives, wont always mean a freedom in my recovery from them or make the pain go away. I have learnt that I can forgive, and understand how my dad got to the stage that he did but also still recognise the adverse affect it had on me and that recognising that is not betrayal, or blame but simply essential to me being ale to use the positives that I have got out of it all. A positive attitude and outlook on life can be a life saver for someone like me, but like most things that are good in my life, if I am using it to suppress, it can become a negative! Previous Post Every Negative Situation Can Also Teach You A Positive One. Next Post Coaisathing Is A Year Old! Josh! Well explained as usual. Thank you so much for your bravery and honesty in sharing your story. Until very recently, I never considered my experiences with my alcoholic mother to be trauma. I didn’t understand what that word meant. Indeed, COAs experience trauma for years. That’s why this healing journey is so difficult – yet so CRITICAL. Thanks for all you do, Josh. Thank you Jody.. and thank you too!! Such a true insight into the affects of growing up in an alcoholic home and so well written. For me, peeling that onion and getting in touch with actual real-life feelings (which I’ve hidden away for so long) can be scary, but can also provide peace and recovery from the past. Great post, Josh. Beautifully, poignantly and so accurately written. Thankyou for this Josh, especially for your honesty. I also was in denial, wanting to be strong, if not perfect. I grew up as the sensible child- adult for my mother, I thought I could carry that on throughout my life. But when I experienced other traumatic events, including her illness, as an adult, I became lost in confusion and fear. The strong me that was aiming to be stronger than my alcoholic mother, couldn’t keep up the effort of fighting against all of the fear, uncertainty and pain. I also accept being a flawed , damaged individual , because that is the fundamental truth. The deep existential fears of being and feeling unsafe are hard to live with. False strength with denial cant overcome the pain, though I think a strength coming from vulnerability and acceptance of the pain is possible. The onion layers have to come off completely so it seems to me, and that’s just the start of recovery. And that process is so difficult, and slow, because at least for me, no one ever openly recognised there was a problem, no one ever talked about feelings, and the fierce defences I built to shield and fortify myself, have all had to be gradually broken down, to reveal the real me.